“Keep calm and carry on.” That’s what Katherine Bateson’s father told her, and that’s what she’s trying to do: when her father goes off to the war, when her mother sends Kat and her brother and sister away from London to escape the incessant bombing, even when the children arrive at Rookskill Castle, an ancient, crumbling manor on the misty Scottish highlands. Kat believes she knows the answer: Lady Eleanor, who rules Rookskill Castle, is harboring a Nazi spy. But when her classmates begin to vanish, one by one, Kat must uncover the truth about what the castle actually harbors—and who Lady Eleanor really is—before it's too late. 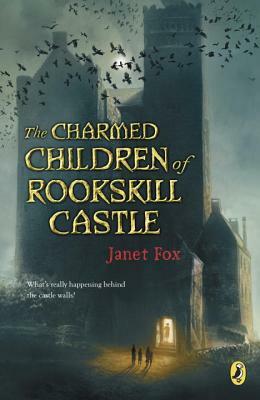 Janet Fox writes award-winning fiction and non-fiction for children of all ages. Her young adult debut novel, Faithful, was an Amelia Bloomer List pick, and was followed by a companion novel, Forgiven, a Junior Library Guild selection and WILLA Literary Award Finalist, and Sirens. Janet is a 2010 graduate of the MFA/Writing for Children and Young Adults program at Vermont College of Fine Arts, and a former high school English teacher. She lives in Bozeman, Montana, where she and her family enjoy the mountain vistas.